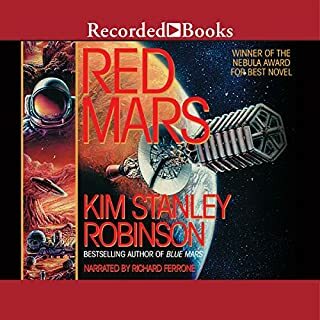 In Red Mars, Kim Stanley Robinson imagined a near future in which humankind established the first colonies on Mars and began to make the planet inhabitable for humans. In this stunning sequel to that Nebula Award-winning novel, Robinson takes the colonization of Mars to a new generation, with a new set of problems and concerns. The initial Martian pioneers had fierce disagreements about how the planet should be used by humans. This led to a war that threatened the lives of billions of people on both Mars and Earth. Now, the second generation of settlers continues the struggle to survive the hostile yet strangely beautiful environment of the red planet. Their decisions and actions will ultimately determine whether Mars will simply be a sanctuary for scientists, a source of raw materials for Earth, or something much more. 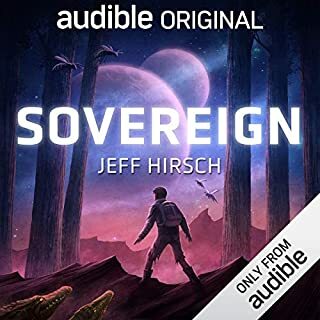 Richard Ferrone's robust narration of this thrilling, timeless tale captures the fascinating diversity of Robinson's compelling characters, taking listeners to the farthest frontier of humanity's struggle to survive. Speculative science fiction, when done well, can feel like a yet to be fulfilled prophecy. Kim Stanley Robinson writes good speculative science fiction that achieves this feeling in his novel Green Mars. Green Mars is the second installment of Robinson's epic opus, The Mars Trilogy. Evidence of the book's popularity among scientific crowds is the fact that Green Mars was included in the payload of the 2008 Phoenix expedition to the planet Mars. It is among the first books in the Interplanetary Library. 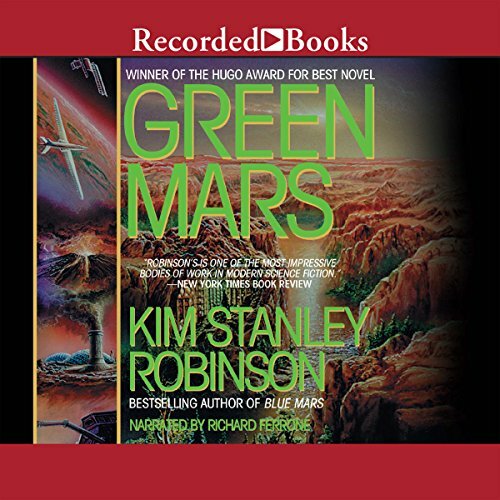 An initial warning: Red Mars, the first book of Kim Stanley Robinson's trilogy, should be read prior to reading Green Mars. The trilogy is not a series of stand alone story arcs that can be coherently read out of order. Red Mars and Green Mars were published a scant 13 months apart in 1993 and 1994. This quick publishing turn around time and the fact that the books are over half a thousand pages each leads one to believe that both books were finished at the same time. While this is just speculation (although I'm sure Kim Stanley Robinson has addressed this matter in interviews in the past 20 years), one can continue to speculate as to why the story was published slightly over a year apart in two different books. Perhaps the author wanted to double his entries in the Hugo and Nebula sweepstakes (Red Mars won the Nebula in 1993, Green Mars won the Hugo 1994). Perhaps the editor thought the tome would be too ponderous for a single book. Perhaps the publisher (Spectra/Bantam Dell/Random House) wanted the profits from two books instead of just one. Whatever the reason, just make sure, even though you are presently reading a review of Green Mars, that you read Red Mars first. Green Mars is set in the near future and is centered around the populating and terraforming of Mars by immigrants from Earth and native born Martians. Green Mars weaves into its plot many other speculative science fiction devices in addition to terraforming. Medical advancements that double or triple the human lifespan play heavily into the story's plot. Other major plot conflicts include environmental disasters and protection (both on Earth and Mars), political dominance by multinational corporations, population growth, and battles over and with advanced technologies such as space elevators, orbiting solar mirrors, and the medicinal treatments for prolonging life. The story is extremely multifaceted and epic in scope. The trilogy spans about 150 years. Green Mars is not particularly light reading, but the story and the science in the story will not soon leave a reader's hippocampus. Kim Stanley Robinson employs a narrative style common to fictional mega-epics with a large cast of characters. The story is told from a third person perspective that is limited to a single character's point of view per chapter. The point of view character alternates every chapter so that the reader can get an idea of everything going on all around Mars. The author creates a linear fluidity to the story this way. This narrative method also allows Kim Stanley Robinson to show off his multiple disciplinary, scientific interests. Depending on the point of view character, the author will use that character's specialty to wax informatively on various fields of science such as geology, environmental science, physics, solar system astronomy, biology, botany, sociology, psychology, philosophy, humanities, economics, mechanical engineering, chemical engineering, social engineering, military science, political science, and even a dash of religion. Often the story is secondary and/or dependent on the description of the sciences (and speculative sciences). Attention and focus is required to follow the story through these interesting, college-level, intellectual interruptions. It is impossible to read Green Mars and not learn something. This will turn off some readers who are only interested in a Mars themed, thrill ride adventure story. If that is what you want, try Robert Heinlein's Stranger in a Strange Land or Edgar Rice Burrough's A Princess of Mars. Green Mars is written for a “hard science fiction” fan base that is interested in intellectualism as much as literary entertainment. The characters, especially the point of view characters, in Green Mars are primarily archetypes of different kinds of scientists, various kinds of revolutionary fighters and politicians, and religious leaders. Their personalities are largely shaped by their professions and/or scientific disciplines. However all the characters are well written and through their actions, thoughts, and expressed values the reader sees multiple dimensions of their passions, flaws, and personalities. The characters and the story are easy to fall in love with but challenging to read. The liberal arts academic who dreaded science class might want to approach this book with caution. However, if you pick up Green Mars and the Mars Trilogy, no matter what you scientific inclination is, you will probably be entertained and definitely be educated. What made the experience of listening to Green Mars the most enjoyable? This book is extreamly detailed both in character content and in the sciences. I feel like I read a textbook with a story attached. I certainly know more about Mars, Climatology, Biology, Geology, and others...and I enjoyed learning about it. Richard Ferrone returns w/ another performance almost devoid of emotion and conviction. But the book makes up for it. 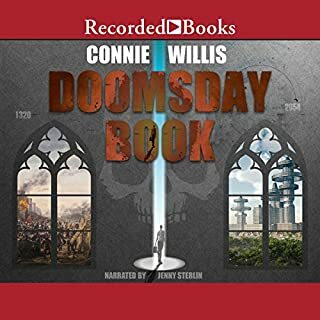 Great story, believable predictions of the future of economics, and a Terran disaster actually considered one of the worst case scenarios governments worry about. Although there is a lot of hippy-dippy stuff, and some fuzzy ancient history, which bug me, but those are short lived irritations that don't detract from the story. My on;y real issue is all my favorite characters were killed off in the first book. After the first book I swore to never read on. Three years later I tricked myself into getting the second. What a labor of world building, with not enough pay off for my tastes. Shame on me. Narrator did a commendable job. First of all, this is the sequel to Kim Stanley Robinson's Red Mars. Most of the characters from Red Mars return and Green Mars is not written to catch up anyone behind in the lore. Second, while I enjoyed Green Mars enough to continue to Blue Mars it's definitely not as good as Red Mars. Richard Ferrone's performance is actually a bit better than previously, but the second half of this novel feels a bit like Robinson got bored with his new characters and decided to relive the glory days of the previous novel. Also, a significant part of the prose is pure tech talk, which gets VERY dry. Overall, I'd only recommended this to a fan of Kim Stanley Robinson or a completionist. Not as Good as Book 1 - Overwritten a Bit? References seem to be to a culture these characters wouldn't be referring to. Howard Hues and stuff like that is stuff my grandparents would be discussing. These characters are only conceptually a few years older than me (I'm 38).... I will be in my 40's when this timeline is supposed to start; right in line with the characters of this book. This story was authored in the 90's. Seems the pop culture references should be in line with a 15 to 30 year old human experience of that age... There is a definite disparity in how the characters act to their ages is all I'm saying. May be off on how I'm explaining it. The scientific talk over Terra forming and the overall validity of true data in the Scientific Methods was fascinating. Rated it down a bit over how the story can drag along occasionally. It is a long book; not all of it is A+ material. The story is unfortunately rather slow simply due to amount of detail that Kim puts into it. the narrator, however, makes this story drier than Isidis Planitia in M year 1. 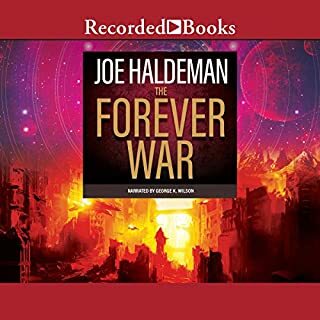 This is the second book in the series that I have listen to and I still find myself looking forward to turning it on when I can. 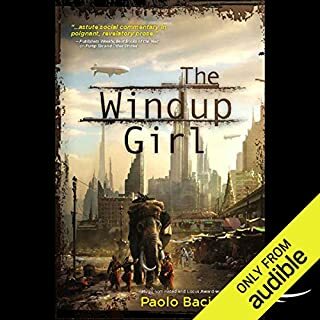 The narration is wonderful and the story is varied and engaging. Would definitely recommend this book (and series) to those looking for an escape to an immersive world. This is the second of three books by the author, all suffering the same issues. The SCI-FI concepts are pretty interesting - teraforming, robots, vision of the future of colonization of the solar system. There are some very fun concepts in the book. Unfortunately, the author seems bent on displaying his knowledge of just about any topic that comes to mind and this consistently distracts from the story. I was tired when the book was finally done. The performance is good - kept the story interesting. Good piece of technology, no grasp of social science reality. It's 2101, some 70+ years since first humans landed on Mars. There are already thriving cities of hundreds of thousands people, Mars temperature increased by 35 degrees, CO2 level fell to 30%, and already trees are growing on the surface. Sort of utopian neo-marxist/New Age economy is a dominant paradigm, and the main topic of argument between humankind is how to terraform the planet further. Oh, and even the first settlers are alive and kicking, because due to the progress in medicine people are no longer dying of natural causes. Earth society is falling into pieces, but somehow humankind finds enough resources to build space elevators and shuttle NITROGEN from Titan. 1. These books are VERY long and felt like they could have benefitted from a firmer editorial hand. I like a long listen, but (for example) some of the accounts of events like conferences are as unwieldy and turgid as conferences can actually be in real life - who needs that? So after 50 hours of 2 books I really need a break and am not actually looking forward to the third book right now - although I'll get past that and am pleased it's out there for when I'm ready. 2. There is a lot of science jargon. Now I can dig science jargon - but if you're listening to an audiobook on the motorway, as I do, and your the sort of person who likes to picture the story, you might struggle to imagine some of the environments unless the scientific terms are supported with a bit of ordinary english, to help you work out whether , for example the geological description means that the terrain is crunchy and unstable or frozen and smooth. 3. Some (if not many) of the main characters are flawed and selfish but take up a lot of space in the story - I have now lost all interest in whether a vain drama queen feels bad about the death of one of the men she strung along at the hands of another. That was 50 of my hours ago and 100 of their years, but that seems to be an ongoing plot issue. That sounds critical - but the main news is that the basic story, terraforming Mars with a society that has a wierd and problematic quirk is a good one. The science is thought provoking and well researched. They are very good books, just ovelry wordy. A true visionary. The Mars trilogy should be a road map to any future expansion into the solar system . Superb. I've read the series times, it's brilliant, but the narrator can't pronounce even simple words! 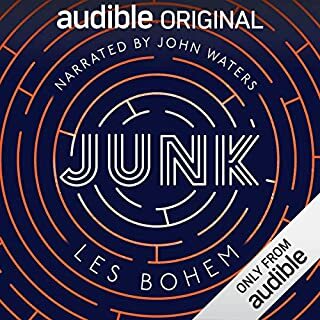 I bought the first book long ago and liked it but started listening to other books in between. Now I got this one and I loved it! I really like the way the author portrays the characters, both likeable and not so, even some despisable ones. One gets a better insight on the group of leaders of the first 100, now more mature att over 100 years old. Also the new martians, who they are and what they want. Mars is being changed slowly through terraforming while Earth is being destroyed. It is a (in my eyes) very probable outcome for our planet. I will start in number three now! This follows on from the slower parts of the previous book. It drags on about the atmosphere, in my view it never gets going. A good book for helping you sleep. What disappointed you about Green Mars? Seems much more concerned with incredibly detailed descriptions of the geology & geography of Mars than building any kind of ongoing narrative with any kind of pace. The big things that do happen have so little build up or time spent on them that it all feels rather flat. Has Green Mars put you off other books in this genre? I really like the characters in this book, all built up so complexly that they feel real, and I've come to know them so well they feel like friends. The story is great too, continued to surprise throughout. Also, I love the language and comparisons used in this book, as a person with a understanding more entrenched in science this book's language was more understandable to me than other book's. I love the book trilogy so far, he has done so much research but put them in simple way. It's my third time through this treasure series and I see the story play out differently with each new phase of my life. For the first time I noticed the roles of the four greatest of the first hundred mimic the four elements. Sax's obsession with air, Maya building oceans of water, Ann lost in the Ka and Nadia using fire the way humans have harnessed it for thousands of years to animate our tools of building. I wept twice in nirgals chapters here in part green as he expressed his love for his family in such relatable ways. I'm amazed at how invested I am in Robinsons idea of an ideal human colonization. It gives me hope for the future that I seem to want the same things as him, that we have in fact come a long way in the past few decades, if only in our minds. After all, as the great Maya Toitevna will once say, the fulcrum is in our minds. A fabulous engaging story. I happily got lost in the world of Mars, the science, the politics and the people. You learn a lot but it can be hard going. Story is great and if you like an in depth world this is it!! !